IOTA has jumped from the 9th-largest to the 4th-largest cryptocurrency in the world in under two weeks. It’s hard to believe that less than two weeks ago, IOTA’s market cap was the ninth largest in the world. Since the beginning of December, the coin has been making bullish leaps and bounds–as of today, IOTA officially surpassed Ripple to become the fourth-largest cryptocurrency in the world, following after Bitcoin, Ethereum, and Bitcoin Cash, respectively. The bullish run began on December 3rd, when a single IOTA token (officially called a “MIOTA”) doubled its valuation from roughly $1.40 to $2.80. 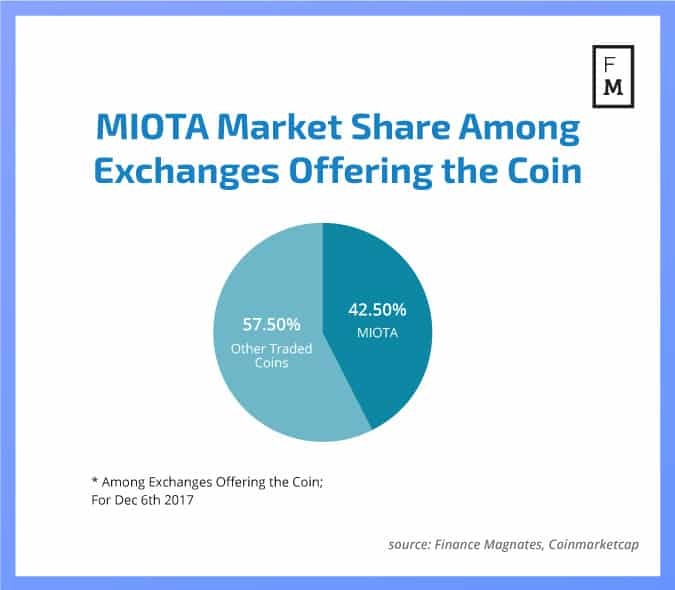 MIOTA tokens briefly peaked on December 6th around $5.45 before facing a correction. 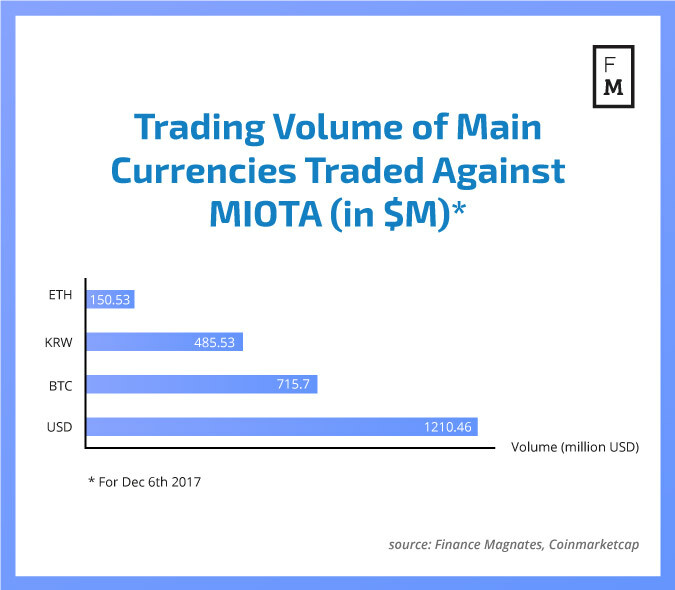 While the price of MIOTA tokens is still in flux, it has managed to stay at least 6x what it was just six weeks ago. In mid-October, MIOTA was trading around $0.40. At the time of press, IOTA’s 24-hour trading volume was roughly $1.38 billion, around $130 million higher than that of Bitcoin Cash, the world’s third-largest cryptocurrency. The sudden high demand for MIOTA tokens comes in the wake of IOTA’s announcement in late November that the IOTA Foundation (founded in 2015) has joined with 20 other companies, including Microsoft and Fujitsu, to create a decentralized data marketplace. The marketplace will be integrated along with the IOTA network into Internet-of-Things devices manufactured by other companies in the partnership, and will collect and sell data produced by the usage of said devices. Given the context of ongoing scalability problems and high fees on the Bitcoin network, perhaps the most notable thing about the IOTA network is that it processes and confirms transactions instantly with absolutely no fees. This is made possible by the IOTA Tangle, a form of distributed ledger technology similar to blockchain. Like the Bitcoin blockchain, the Tangle is a decentralized, public ledger. of other transactions, rather than needing approval from the entire blockchain in order to be confirmed; for this reason, the Tangle network actually becomes faster and more efficient as more people use it. Blocks are added in a non-linear, non-chronological fashion to the Tangle; this allows transactions to take place offline (they are added later). Because the entire Tangle does not need to be present on a device to confirm transactions, the network is also “lightweight” and can be supported by a variety of devices, from computers to mobile phones to IoT-connected toasters. In fact, the design of the Tangle network was created such that it could easily be integrated into the Internet of Things. Its free transactions and “infinite scalability” theoretically make the cryptocurrency ideal for machine-to-machine communication and transactions. By allowing automatic, instantaneous payments, the IOTA network hopes to decentralize the ownership of physical objects. For example, the IOTA network could be hooked up to a smartphone and used to automatically calculate the cost pay for the use of a self-driving taxi (with no “middleman”.) Theoretically, the IOTA platform would make the ownership of a car less necessary–all cars could be shared, and used by people who needed them when they need them, rather than sitting in a garage or driveway for most of the day. The IOTA network also supports a fully-encrypted messaging platform called the MAM (“Masked Authenticated Messaging”) that allows devices connected to the IOTA network to securely exchange data with one another. The platform allows data to be shared with multiple entities at once, similar to a radio broadcast that anyone with permission can tune in and listen to. The IOTA Foundation is responsible for starting “The Big Deal,” a community funding project that was created to attract developers and corporate entities to the IOTA network. Participation in The Big Deal is incentivized with the promise of IOTA tokens in exchange for access to knowledge, as well as other resources, such as developers, marketers, and media coverage. The Big Deal may be at least partially responsible for the recent announcement of IOTA’s high-profile partnerships. The recent buzz has attracted lots of individuals in the crypto community as well. According to a report from CryptoCoinsNews, the /r/IOTA was the sixth-fastest growing subreddit page on Monday of this week. At the time of writing, the subreddit had over 53,000 followers; Ripple had just over 45,000. Despite its surging popularity, IOTA is only available for trading on thirteen exchanges. 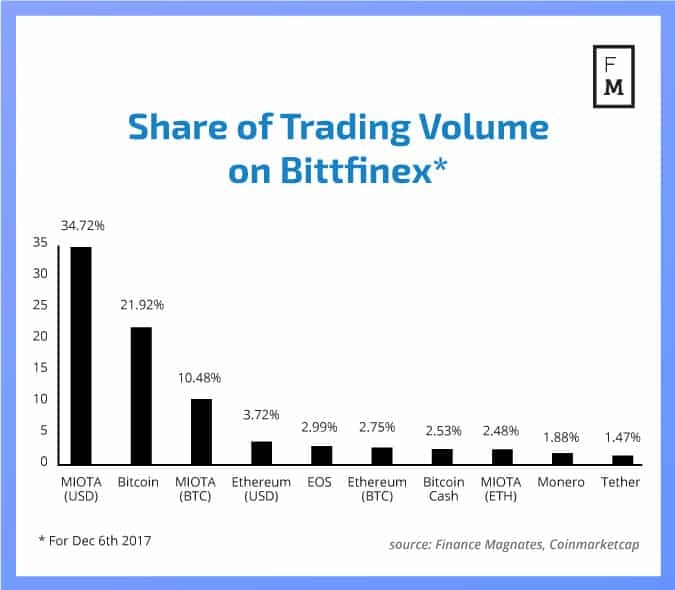 At the time of writing, Bitfinex was responsible approximately 60% of IOTA’s trading volume, while Binance and CoinOne held approximately 15% apiece. The remaining 10% was scattered across less well-known exchanges. While the IOTA network will undoubtedly face its own set of challenges as it continues its journey into IoT integration, it is a force to be reckoned with. The cryptocurrency has positioned itself extremely well to become the first ever to really be adopted for practical, “real-world” use. If everything goes as IOTA has planned, the latest partnerships (and the resulting boost in token value) are just the beginning. 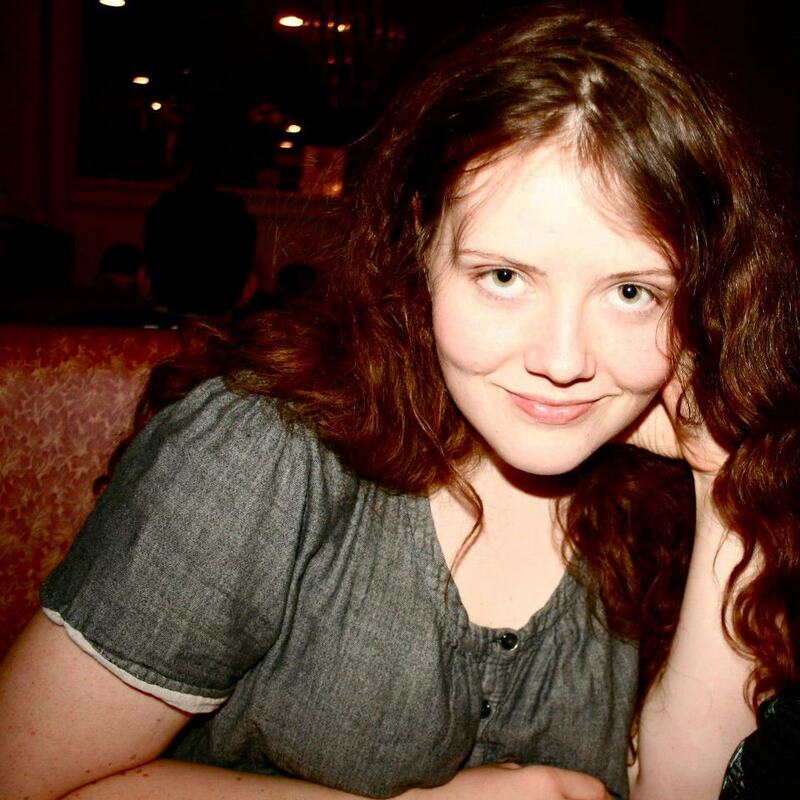 This is a very good article, Thanks for sharing. IOTA is clearly the new generation of ” Blockchain ” but without the annoying (unwanted…) transaction fees, and a lot faster confirmation speeds. Yes, absolutely agree, this is crypto 3.0, that moves the power from miners to the users instead, very fast, almost unlimited scalability to handle growing ammount of requests, no controversy surrounding this crypto – wide acceptance with great backing from the major tech companies. Yesterday I tried to pay for service with Bitcoin. Transaction is still not complete. Compare this with IOTA and you will understand why IOTA is future. One single IOTA token is called IOTA. MIOTA means mega IOTA, or one million IOTA tokens. IOTA cant be a new Bitcoin. Bitcoin is just one ( 🙂 when we neglected our little brothers and sisters), but IOTA have great potencional be a crypto nr.1. Based od DAG no fees, very fast wiht their on data market place. Supported by such giants as it is Samsung, Microsoft, Cisco and many others. After a smaller sellout on reaching the market cap, it flies back again and who has not added yet has definitely got a chance yet. Every good investor should have this currency in his portfolio. IOTA is a next-generation cryptocurrency! And there is more than possible that these DAG-based cryptocurrencyes could replace some of classical coins. But I still belive that it will not replace BTC, BTC will be somethinl like a gold – for keeping, not for spending. DAG-based are more sutiable for everyday use and that is reason, why its price will increase soon, specificaly IOTA, because its first – like a Bitcoin. I’m not able to undrstnd how to purchase it. IOTA looks like a very good alternative to cryptos with a new and better DAG technology system. IOTA has a big power with his growing value caused big interest of big investors, partnership with giants companies, trading on crypto exchanges, impossible forks like BTC and many others advantages which has this Crypto. IOTA is great solution for day to day transactions, I see bitcoin more as gold 2.0 but IOTA with its underlaying DAG tech – which does not need miners, has no issues with scalablity is a great coin to add into portfolio now as thanks to this very short correction, more investors can jump in as it would resume again the fast growth. It has potential to become No 3 crypto – this means great returns on the investment as at current price it is significantly undervalued based on the potential it offers for our day to day life. the (right) BTC is only one, if we don’t count the forks scraps. But IOTA is great competitor and we will hear about it a lot in future. Is IOTA the New Bitcoin? Of course not ! Iota is much better and does not have childhood illnesses as Bitcoin.